Two circles secondary electronic heating system - Celsius a takarékos energia - fűtés rendszerek akár 5 év garanciával. 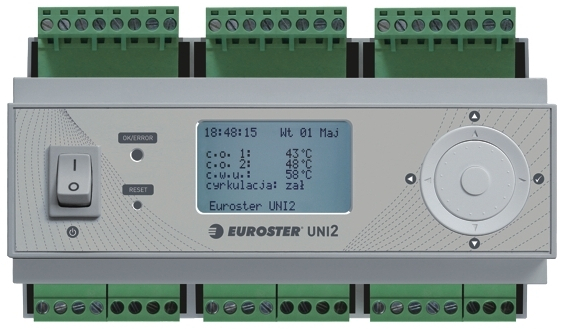 Thanks to its grapichal display the Euroster UNI2 cooling-heating controller gives precise and wide ranged information about its continous operation, making it lot easier to set and to check the device. The unit also includes anti-freeze function which prevents malfunctions outcoming of the freezing. 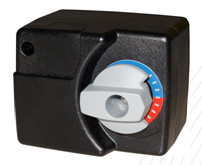 Furthermore the controller is useable for buffer tank and boilers, since it has an overheating protection. During overheating it overrides the signal from the room thermostatic. quick to assemble set, graphical LCD display, advanced microprocessor technology, knowledge of five commander units in one and the thermal sensors. 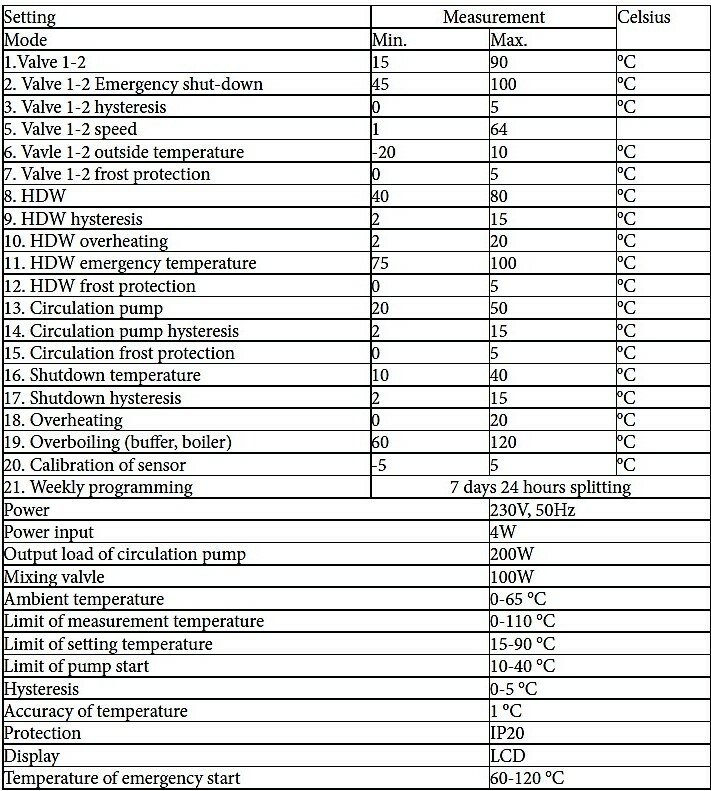 Controller functions: mixed circles cooling-heating, two thermostat signal receptions, start two mixing valves, start domestic hot water pump, optional operating modes, start circulating pump, outer-temperature sensor, weekly programming option, launch other boiler based on room thermostat, anti-stop function, freeze prevention, overheating prevention. 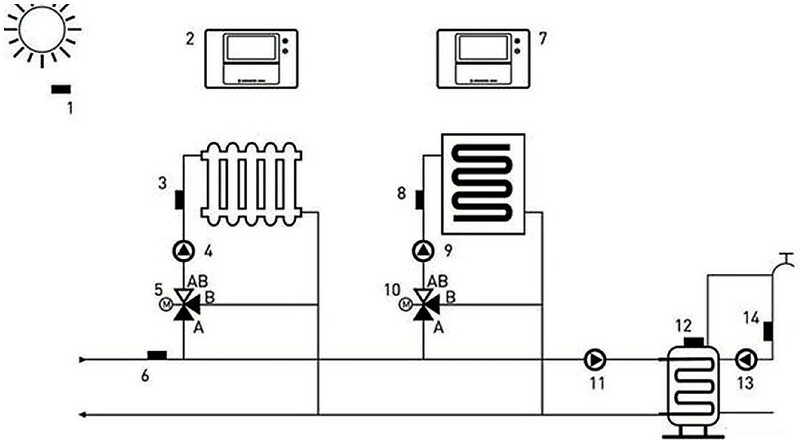 The heating system controller is equipped with two separate mixing valve and pump controllers, which can be launched by room thermostat signal and tuned by outer temperature signal. 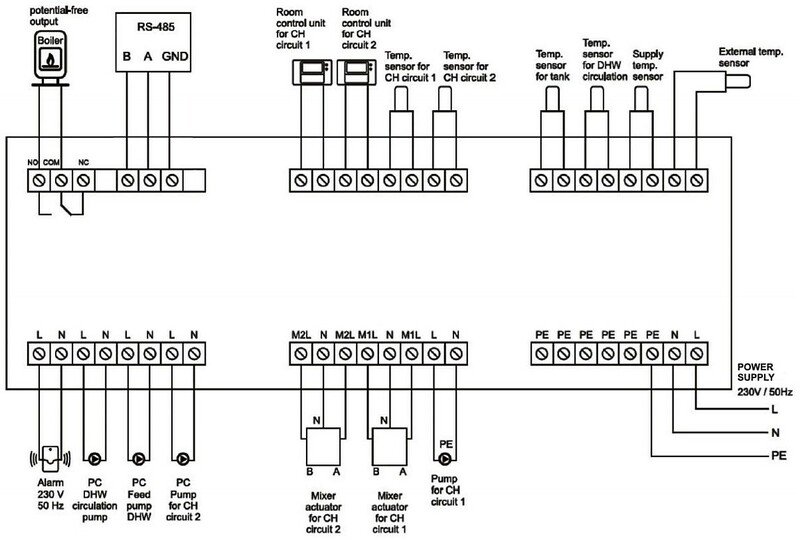 Able to receive two separate thermostat signals which are voltage free. The mixing valves can be controlled to heat and cool by a weekly program. 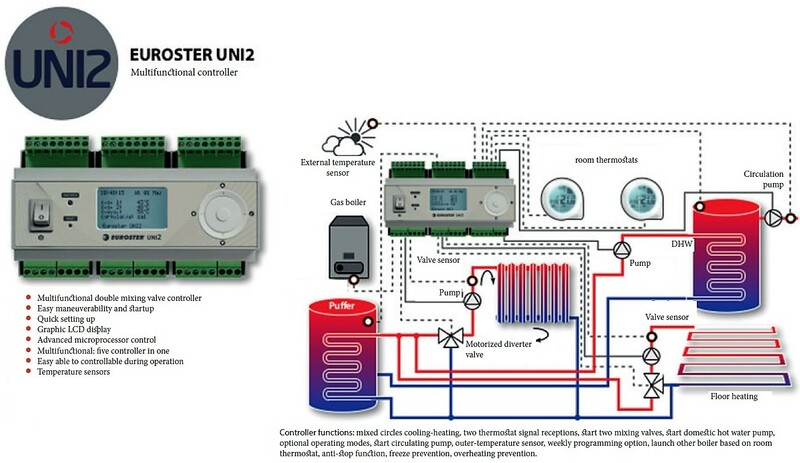 Euroster UNI2 cooling-heating controller provides two other functions: launch domestic hot water pump of which’s operational mode is selectable (primary or secondary) even by weekly programming. Furthermore its able to launch a circulating pump which has great advantages that its launchable in two different operational modes: temperature surveillance or time definition. Both of these even by weekly programming. 9. Central heating pump for circuit 2.